Daily Current Affairs (September 28, 2018) like many other sections is inevitable and this also helps to score in the Banking awareness , Static GK and Financial Awareness sections. Remember, Banking Awareness and Static Awareness Questions are asked from the General Awareness section. This will also help you to ride your preparations for the forthcoming exams. 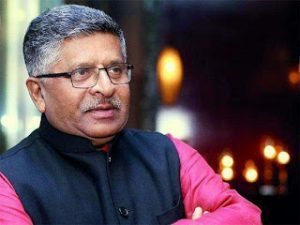 The Information Technology Minister Ravi Shankar Prasad has launched Centre of Excellence for Data Analytics (CEDA) in New Delhi. National Informatics Centre (NIC) and National Informatics Centre Services Incorporated (NICSI) have jointly set up a Centre of Excellence. 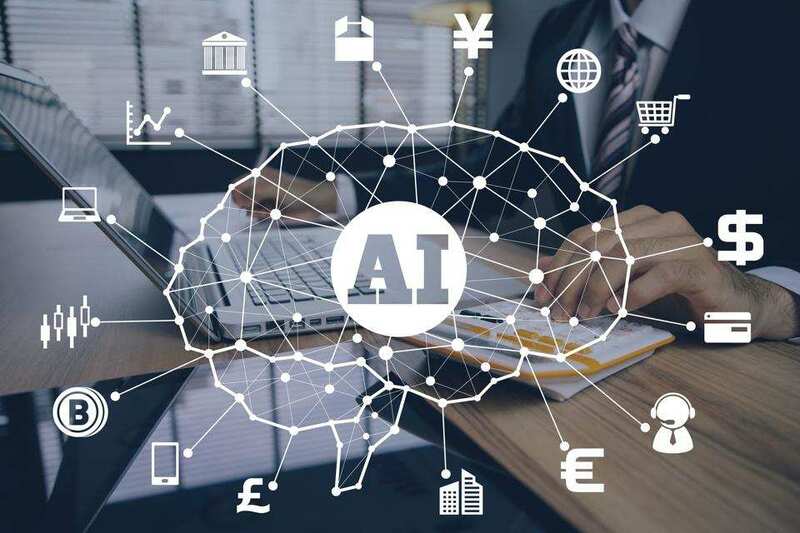 The Centre of Excellence is for data analytics and to support Government departments to unlock the hidden potential of the data that they are generating as part of the governance processes and use it to improve the overall governance. The minister also launched DigiVaarta,a mobile based app. Digi VAARTA, is a Vehicle to Accelerate Access and Reach to Transformational Action, is a platform designed to enable Financial and Social Inclusion by educating citizens on various schemes and programmes. 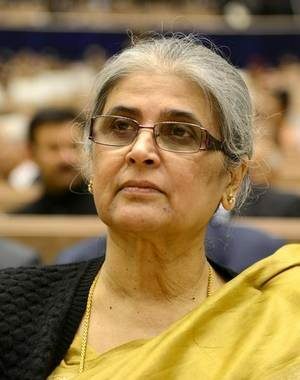 The Modi government has constituted an eight-member search committee, to be headed by former Supreme Court judge Justice Ranjana Prakash Desai, to recommend the chairperson and members of the anti-corruption ombudsman Lokpal. The important committee members are former chief of State Bank of India (SBI) Arundhati Bhattacharya, Prasar Bharati chairperson A Surya Prakash and Indian Space Research Organisation (ISRO) head A S Kiran Kumar as members. The eight-member search committee is mandated to recommend a panel of names for the appointment of the Lokpal and its members. India’s rank improved and it is placed 96th among 162 countries in this year’s report on Economic Freedom in the World. It was released by the Centre for Civil Society (CCS) in conjunction with Canada’s Fraser Institute. Last year, India’s rank was 98. Hong Kong and Singapore again topped the index. People living in countries with high levels of economic freedom enjoy greater prosperity, more political and civil liberties, and live longer. The government has launched an online platform for processing applications related to quality certification mark ‘Agmark’ for agricultural products. The existing procedures for Agmark certification were in physical form and time consuming. Now, the process of application will be simple, quick, transparent and 24×7. India and Oman have agreed for deeper cooperation in maritime security and defence industry for future engagement and range of measures to enhance the defence relationship between the two countries. Sayyid Badr Saud Harib Al Busaidi, the Minister Responsible for Defence Affairs, Sultanate of Oman is on an official visit to India at the invitation of defence minister Nirmala Sitharaman. The Sultanate has opened access to the key Port of Duqm in Oman for military use and logistical support. The Port of Duqm and dry dock will be available for providing maintenance to the Indian Naval vessels. The first ever United Nations High-Level Meeting (UN HLM) on tuberculosis was held in New York. 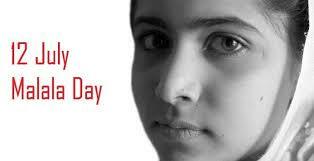 It aims to accelerate efforts in ending TB and reach all affected people with prevention and care. 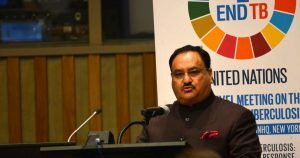 J P Nadda, Union Minister of Health and Family Welfare addressed the Meet. The theme of the meeting is “United to end tuberculosis: an urgent global response to a global epidemic”. India has allocated US$ 430 million for implementation of the Plan in the current year, which is an increase of 54% over last year. 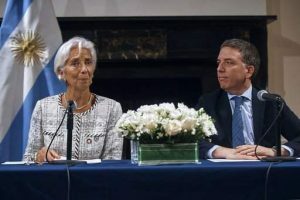 Argentina has received the biggest loan package ever from the International Monetary Fund. 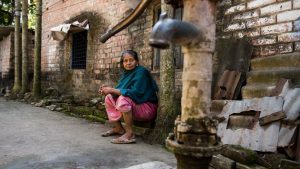 It has received $57.1 billion from the International Monetary Fund, the biggest loan package ever from the global body aimed at boosting the country’s struggling economy. The loan, $15 billion of which has already been received by Argentina, will be disbursed over the next three years. Argentina had originally secured a $50-billion loan in June this year. India is expected to grow at a healthy 7.3% in fiscal year 2018, helped by improved domestic demand and a steady revival in industrial growth. The ADB kept its growth forecasts unchanged at 7.3% for 2018 and 7.6% for 2019 as the temporary effects of the demonetisation of large bank notes and the introduction of GST abate as expected. 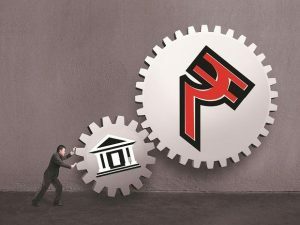 India’s economy grew 8.2% in the first quarter of the current financial year and Private consumption grew 8.6% in the quarter. 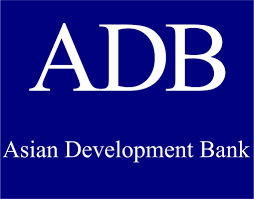 The board of directors of the Asian Development Bank (ADB) has approved financing of up to $500 million for a multi-tranche financing facility (MFF) that will develop climate-resilient water supply, sewerage, and drainage infrastructure in at least 10 cities in Tamil Nadu. The country’s first solar-powered sewage treatment plant on a pilot basis will also be part of the programme. With almost half of the state population living in cities, Tamil Nadu is the most urbanised of India’s large states. To stem the massive fall in Indian Rupee, the government has increase customs duty on import of 19 items. This increase in import duty is aimed at bridging current account deficit (CAD). The government had decided to raise the customs duty on certain ‘non-essential’ items. The increase in basic customs duty on import of these items will come into effect from September 27. The total value of imports of these items in the year 2017-18 was about Rs 86,000 crore. Customs Duty is a tariff or tax imposed on goods when transported across international borders. The purpose of Customs Duty is to protect each country’s economy, residents, jobs, environment, etc., by controlling the flow of goods, especially restrictive and prohibited goods, into and out of the country. ICICI Bank, a leading private sector bank in India, renewed its Memorandum of Understanding (MoU) with the Indian Army to offer a range of specially created benefits to the Army personnel and pensioners through its ‘Defence Salary Account’. This includes a zero balance account, preferential allotment of lockers and waiver on processing fees on home, auto and personal loans for Gallantry award winners. It includes accidental death insurance cover – Air: Rs 1 crore; Personal: Rs 30 lakh – partial & total disability insurance cover of upto Rs 30 lakh across all ranks. As part of the insurance cover, in case of accidental death, two wards of the deceased account holders will also be eligible to get financial assistance of upto Rs 1 lakh per annum for four years after grade XII for their higher education. A total of 13 scientists from different institutions across India have been chosen for the prestigious Shanti Swarup Bhatnagar prize for 2018. The prize carries a cash component of Rs. 5 lakh each. 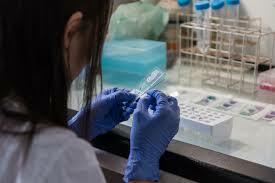 It is awarded annually for outstanding research, both fundamental and applied, in the areas of chemical sciences, biological sciences, earth, atmosphere, ocean and planetary sciences, engineering sciences, mathematical sciences and physical sciences. The Shanti Swarup Bhatnagar Prize for Science and Technology is a science award in India given annually by the Council of Scientific and Industrial Research. It is named after the founder Director of CSIR, Dr. Shanti Swarup Bhatnagar. Other prominent names in the list are Karan Adani, chief executive of Adani Ports & Special Economic Zone; Anant Goenka, group executive director of Indian Express; Ashni Biyani, managing director of Future Consumer; and the Birla scion Ananya Birla, founder of Svatantra Microfinance, co-founder, CuroCarte and co-founder of Mpower. The ‘tycoons of tomorrow’ is not a ranking but a qualitative selection based on a long-list compiled by the Forbes India team, and suggestions made by a six-member jury. India will host the Deaf ICC T20 World Cup in November, 2018. The tournament will be hosted by the Deaf Cricket Society (DCS), the apex governing body. 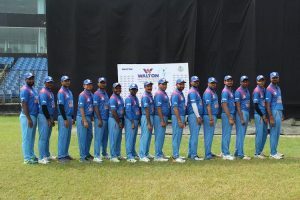 The participating countries are England, Australia, Sri Lanka, Pakistan, Bangladesh, Nepal and South Africa, apart from hosts India. 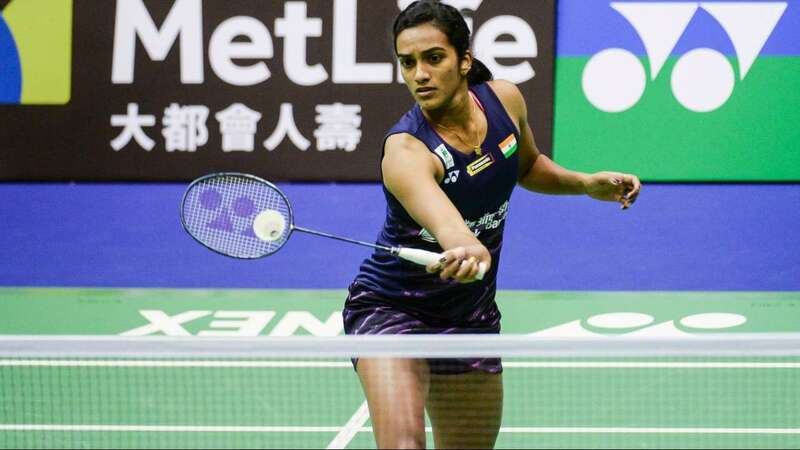 The tournament is being held from November 23-30 in Gurugram. 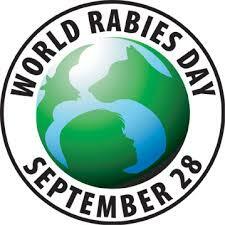 World Rabies Day is celebrated annually to raise awareness about rabies prevention and to highlight progress in defeating this horrifying disease. 28 September also marks the anniversary of Louis Pasteur’s death, the French chemist and microbiologist, who developed the first rabies vaccine.